Where to find Brummen hotels near an airport? Where can I find hotels in Brummen that are near tourist attractions? Brummen has a range of affordable and luxurious accommodations. There are around 11 hotels and apartments within a 0.1-kilometre (0.06-mile) radius of the center of Brummen which are in Expedia's network. 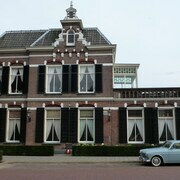 Brummen's center is within walking distance of accommodation like Kasteel Engelenburg and Hotel Het Oude Postkantoor. You could check out the Thermen Bussloo Wellness & Hotel as well as the Hotel de Vischpoorte. 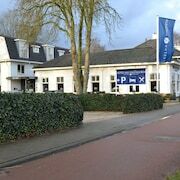 The Thermen Bussloo Wellness & Hotel is positioned 10 kilometres (6 miles) from the heart of Brummen. The Hotel de Vischpoorte, is situated 16 kilometres (10 miles) away. The Sandton IJsselhotel and also the Bilderberg Hotel De Keizerskroon are some alternative accommodation options around Brummen. 18 kilometres (11 miles) to the east of Brummen you'll find Lochem, where you can spend the day exploring Lochem Golf Course and Watertoren Lochem. 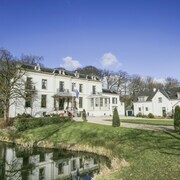 Should you wish to spend a few nights in Lochem, check Expedia's booking pages for the latest deals at the Hof Van Gelre and Boetiek hotel BonAparte - Lochem. 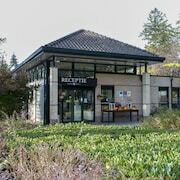 Or, you could consider staying in Winterswijk, 40 kilometres (25 miles) to the east of Brummen, where you can choose from the Hotel Restaurant Stad Munster and Fletcher Hotel Frerikshof. Should you choose to stay in Winterswijk, set aside some time to check out the St. Jacob's Church and Winterswijk City Park. Just because you are on vacation, doesn't mean you can't indulge in your love of all things sport. You will find Amsterdam ArenA 85 kilometres (54 miles) to the west of Brummen. Sleep close to the action at the Stadhouderskade Apartment or the Hotel Notting Hill. Eindhoven Airport can be found 90 kilometres (56 miles) away from Brummen. 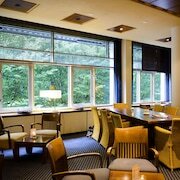 Should you choose to stay close by, can easily secure a night at the Novotel Eindhoven or the NH Best. What are the most popular Brummen hotels? Are there hotels in other cities near Brummen? What other types of accommodations are available in Brummen? Explore Brummen with Expedia.ca’s Travel Guides to find the best flights, cars, holiday packages and more!